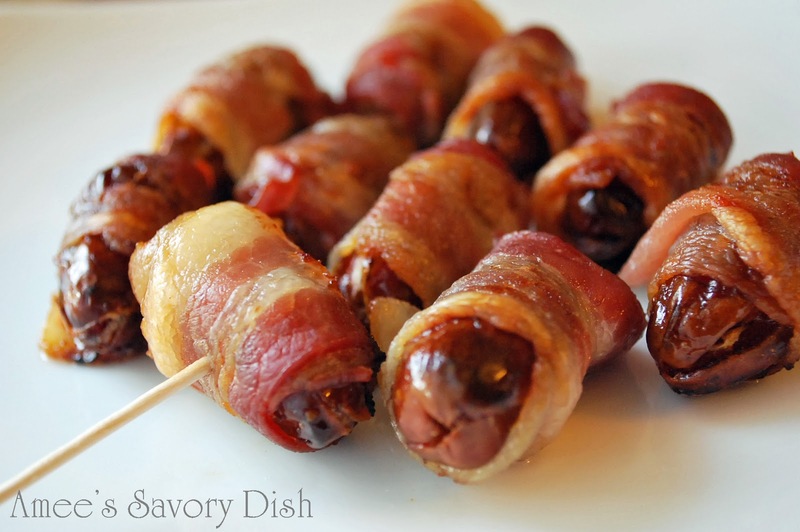 Bacon wrapped stuffed dates are a quick and easy, gluten-free and low carb appetizer. Perfect for serving at cocktail parties! This simple appetizer recipe is so easy, and the stuffed dates are SO delicious. I always make a double batch, because they disappear quickly! Preheat oven to 400 degrees. Stuff dates with almonds and then wrap with a slice of bacon. Arrange in a glass baking dish. Bake for 12-15 minutes. If you like the bacon a little more golden and crisp on top, turn on the broiler (watching carefully so they don’t burn, it won’t take long) and cook just long enough for the bacon to lightly brown. Drain grease and arrange on a platter. Serve with toothpicks warm or room temperature. Sweet Medjool dates stuffed with crunchy almonds, wrapped in bacon and baked until crispy and golden. The perfect healthy appetizer or party snack! 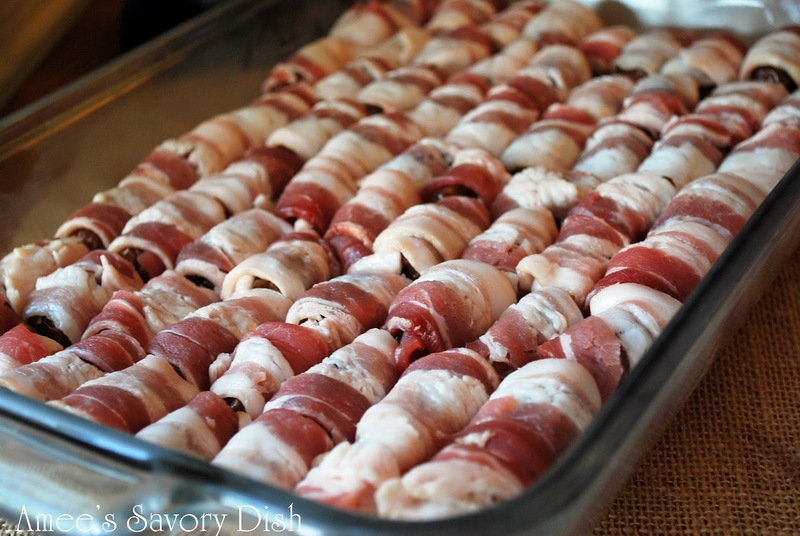 Stuff dates with almonds and then wrap with a slice of bacon. Arrange in a glass baking dish. Bake for 12-15 minutes. If you like the bacon a little more golden and crisp on top, turn on the broiler (watching carefully so they don’t burn, it won’t take long) and cook just long enough for the bacon to lightly brown. Drain grease and arrange on a platter. Serve with toothpicks warm or at room temperature. I’ll be right over! Those look wonderful. I’ve never seen a recipe like this one and definitely will be making this soon. YUMMMMM! So glad you shared this simple and delicious idea. yum! Have you tried stuffing them with cheese? I stuff mine with Gorgonzola Dulce and wrap in bacon! So good!